"Yeah! yeah! yeah! 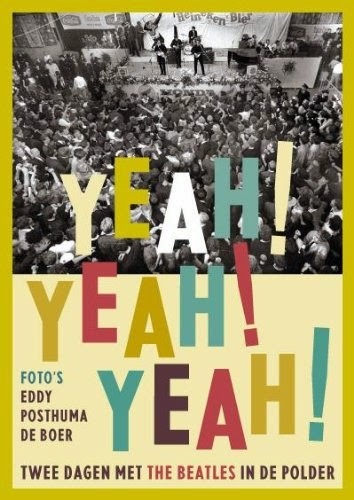 : Twee dagen met The Beatles in de Polder" is a new book featuring Eddy Posthuma de Boer's photos of the Beatles in the Netherlands. On June 4, 1964 the first Beatles World Tour started in Denmark. After that, the band came for two days to visit the Netherlands, before travelling to the Far East and Oceania. The group was not complete, as Ringo Starr was ill, and Jimmie Nicol was the replacement drummer. 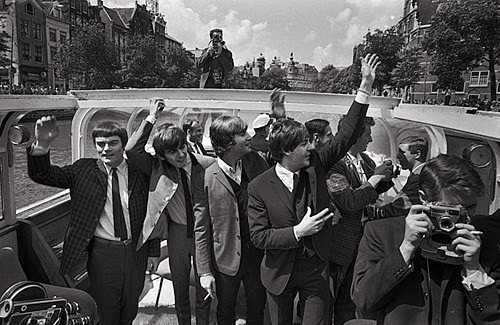 Still, the Netherlands was captured by Beatlemania. There was total madness in the country. Sixties Photographer Eddy Posthuma de Boer was present and took some ​​legendary photos that only recently have come to light. You can see some of the photos here. The 56 page book also features an introduction by Hugh Skipper and text by Cees Nooteboom.